I have dubbed Nokia 109 and is a new member of the Nokia family. It is, as you could see by the first images, of a fairly basic mobile phone, designed for an audience with simple tastes. Its external appearance reveals a sheet with few pretensions and in fact, we would recommend in particular (only) those who want to get a phone to call and little else. In fact, you'll not incorporated camera and a device that is not designed to make great efforts. You can make calls, send text messages, listen to music or enjoy radio programs. It is, without question, the phone would buy our father or our mother, provided they are completely unwilling to go into the world of mobile intelligent, even through a low cost phone. Do not forget that despite the big launches of brands like Nokia , Samsung or Sony , users still appreciate simpler phones. However, the Nokia 109 is a phone ready for connectivity, albeit timely to check email, surf or enjoy some page updates on social networks like Facebook or Twitter . In fact, Nokia has taken special care of the entertainment section and it has installed ten games, developed by Electronic Arts. Here, we offer an in-depth detailed photos and reviews to help you in your choice. 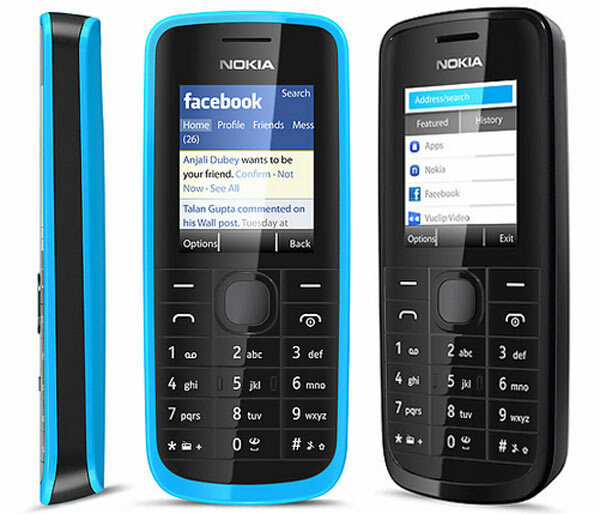 As you can see in the images, the Nokia mobile phone 109 is a line that follows a design identical to those most basic feature phones. It measures 110 x 46 x 14.8 mm and weighs 77 grams with the battery included. It is, in effect, a light terminal, because single components have not many grams added to the entire device. Her measurements are relatively small, because the phone only has to accommodate a very small screen and an alphanumeric keyboard basics, but the truth is that we are facing a terminal something thicker than a smarpthone. Thus, instead of having nine few millimeters, the Nokia 109 is presented with 14. No detail is too important, because the phone just to publicize Nokia is more pocketable than ever: do not take up much space and can be carried around with ease and without worrying about scratches or damages suffered in the screen. Yes, the Nokia 109 has a compact design that provides a unified image of considerable resistance. It has a 56,000 color TFT display, with a maximum size of 1.8 inches diagonally. It has a simple and low resolution of 128 x 160 pixels, adapted to the characteristics and dimensions of the panel in question, along with a concentration of 114 pixels per inch. For the occasion, Nokia has developed a couple of fairly discrete models: one in black and one in a combination of black and cyan with a more fun and casual. Its availability in the market will depend on the firm itself, distributors and operators who have it in their catalogs. 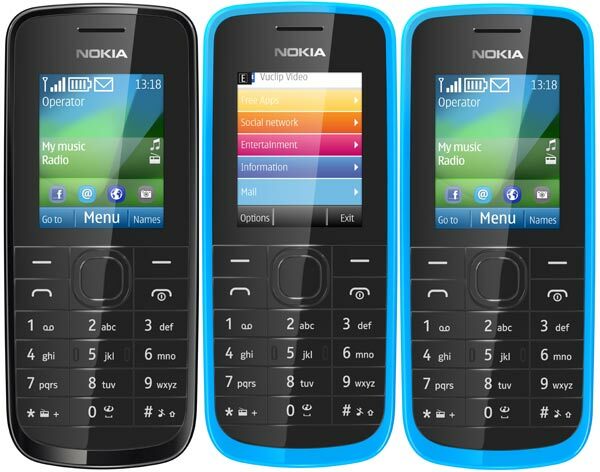 The Nokia 109 operates on GSM 850/900/1800/1900. It is also a simple phone in the area of connectivity. Users who choose this device is usually connected to the Internet or have a data rate especially designed for this purpose. 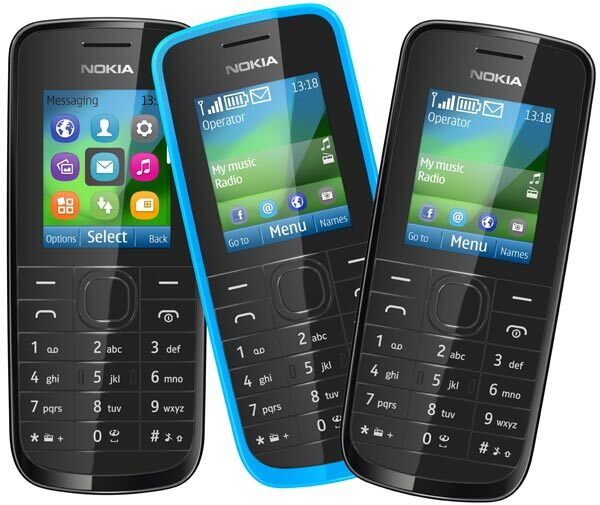 In fact, if you only plan to use the phone to make calls, the Nokia 109 could be an ideal phone for you. You can connect to the Internet in a timely manner, yes, via GPRS / EDGE. This means that when accessing the network connection will be much slower than usual and you can not operate quickly. Nokia itself has considered the option of offering a more streamlined connection to moments via Nokia Xpress Browser. The browser performs a data compression which provides access to certain pages or services without much cost data. Otherwise, we have to tell you that the device does not support wireless networks or Bluetooth or GPS. You will not have the opportunity to enjoy your home wireless connection, nor transfer files via Bluetooth technology or use geolocation applications. Like I said, these extra features that may be required for some users, but not for those who have not ever used and have no intention of doing so. In the field of physical connections, the device has a charging connector (for battery) of 2 mm, and a 3.5 mm output for headphones. Interestingly, the company itself has added a microSD card slot that will allow us to expand the memory of the device in case you want to store music or video content. As in much of its basic terminals, Nokia has decided not to integrate a camera in the Nokia 109. Many users who are comfortable with a basic range phone argue that often make very limited use of the camera or not even open it. The objective, compliment, by Nokia is to create a phone ready to make calls and little else. In the media field is a bit more complete, since it allows the playback of audio, image and video in all major formats more employees. In the words of its data sheet, are: MP3, AMR-WB, AMR-NB, WMA 10 Pro, WMA 9, AAC LC, AAC +, eAAC +, MP4, M4A, WMV, 3GP, M4V. Connecting headphones to the slot, the user will have the opportunity to enjoy playing their favorite songs, but also their favorite radio programs. Yes, the handset also features FM Radio function. 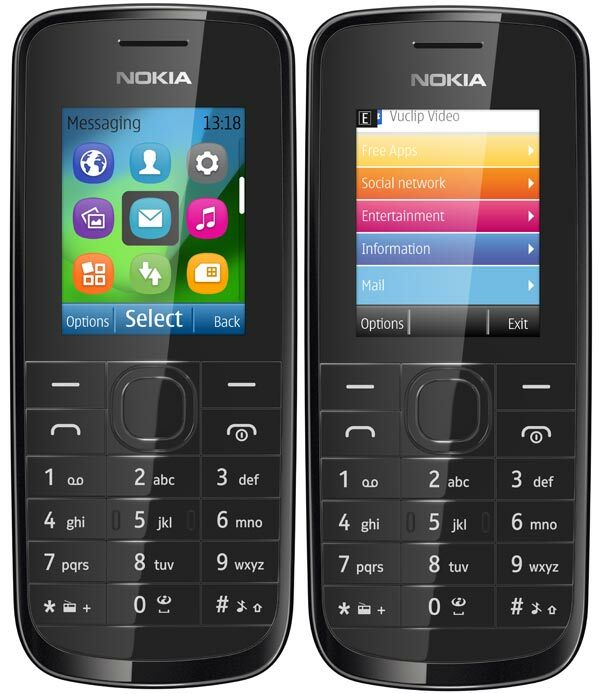 The Nokia 109 has a user memory smaller than normal, even if it makes sense for a device of this nature: 16 MB. This includes the ability to store up to 1000 entries in the phone book, the record of missed, dialed, received and little else. It should be noted, however, that the phone has a microSD card slot that will allow us to expand its memory up to 32 GB. This capability can be used to store multimedia content: songs that the user can listen anywhere, as if he had in his pocket MP3 player to use. This report will also be useful for some games or applications installed extra want, but the fact is that it will soon be exhausted the potential of the device. The operating system chosen is the classic Nokia S40 interface. This is a simple mechanism that will appeal to users more loyal to Nokia because they will feel very comfortable with its operation. From the main menu find the main functions of settings, calendar, music, and multimedia messaging. The basic controls will help us access these features without having to get used to new systems, one of the main obstacles that older people do not have access to the latest technologies. The Nokia 109 comes equipped with a lithium-ion battery with a capacity of discrete, 800 milliamps, but adapted to the characteristics of the device. Its potential will be more than enough. In fact, according to his sheet the Nokia 109 will offer a range of 33 days of standby and 7 hours and 30 minutes talk time. This is a more than logical for a device like the one in question, but as you know, is always necessary to consider the use by each phone user. In this case, it must be said, there is not much room for error. Nokia has already given some news about his coming-out. The Nokia 109 will start selling in the fourth quarter, with the possibility that quickly made ​​its triumphant appearance in Europe. Its price will be approximately $ 42, about 33 euros at current exchange rates, but will have to wait until the time of its release for more details s work its availability, both in free form and through the main operators in the country.